A Movie that Takes a Stand for Our Cause! A Powerful Film That Can Be Near You. AbleChild is excited to announce a powerful movie that takes a stand for our cause. Different Drummers is a true story of friendship and adventure that changes the lives of two young boys in 1965. Coming to DVD nationwide this Fall, it is currently available for theatrical screenings/ fundraisers in your city. The movie has already polarized over twenty thousand viewers into rethinking medicating our future… our children. Different Drummers isn’t about someone else’s child, it is about yours! Please, sign up today to host a screening in your area. 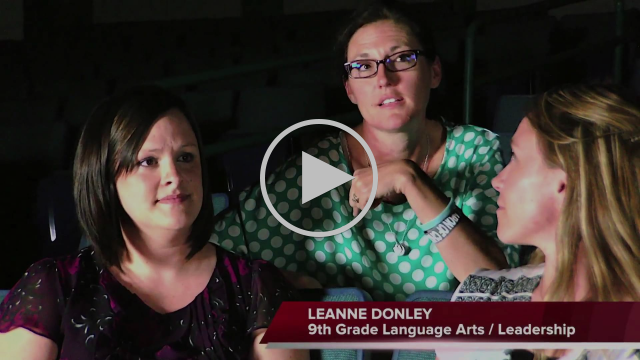 Watch this amazing excerpt from a testimonial video taken after a public high school showed the film to 900 students, parents, and faculty. Then scroll below to see how you can get involved and use this movie to help make a difference in your community. Parents, teachers, and leaders are transforming their communities with this film’s powerful message! If you would like to host a screening of this film in your local area, please contact Nicole Abisinio at Gabriel’s Messenger Films. Things people are saying about Different Drummers. To directly donate to AbleChild’s 501(3)c mission click HERE. Contact: Tim Ives at 914-645-1482 as seating is limited. On Monday, November 17, 2014 at 7:30 pm AbleChild will be holding an informal gathering open to the public to discuss informed consent and freedom of choice in mental health and education. Come and gain valuable information to protect your children’s health and educational rights and meet our Cofounders, Sheila Matthews and Patricia Weathers who were featured on CNN, FOX, Time Magazine, Good Morning America, Hannity and Colmes, and The Todays Show, just to name a few. Learn about their struggles, determination, and victory advocating for their own children and the reasons behind why they chose to ultimately fight for all children, changing laws and increasing drug safety awareness. You’ll learn how to use The Hatch Amendment to opt-out of unwanted psychological testing and you’ll discover that there are alternatives and ways to cultivate your child’s greatest strengths without compromising their health and well being with drug therapies. Come join us for an evening of discussion where you will meet people just like you who care enough to educate, listen, and understand. We’ll have some coffee, tea, water and some goodies, such as Natural News tote bags, AbleChild logo merchandise and educational literature, and awesome giveaways for new members while supplies last. AbleChild is a nationally recognized 501(c)3 non-profit organization. Show your support by sponsoring our next community event! This public New York event is part of AbleChild’s Informed Consent Awareness outreach to parents and celebrates the marking of 44 years since the “Right to Privacy” hearings held on September 29, 1970, on the Federal government’s involvement in the Use of Behavioral Modification Drugs on Grammar School Children. This New York public event is part of Ablechild’s Informed Consent Awareness outreach to parents (Get Hatch!) celebrating 44 years since the “Right to Privacy” hearings held on September 29, 1970, on the Federal government’s involvement in the Use of Behavioral Modification Drugs on Grammar School Children. Ablechild is happy to announce that on Thursday, April 24th, during our annual Fundraising event, a winner was drawn for the Spring Fling Basket of gifts. The winner was George Papadopoulos of Salon KIKLO of New Canaan, Connecticut. Keeping in the spirit of Ablechild’s mission to help others, Mr. Papadopoulous has graciously decided to “pay it forward” and donate the $300.00 Salon KIKLO beauty services to another deserving person chosen by Ablechild. Ablechild Member, Stephanie Priestman, has been struggling with the Connecticut Department of Children and Family Services (DCF) in an attempt to protect her children from forced psychiatric drugging. Because of the ongoing difficulties Priestman is faced with, Ablechild is pleased to pass this gift on to a most deserving mother.